Founded in 1976 by Margaretha and Wolfgang Ley in Munich, Escada is best known for its use of interesting colour combinations in all its designs. Inspired by the idea of being different, it has a strong fan following across borders. The brand’s position as the leading fashion label is further reiterated by the fact that members from royal families from Sweden, Monaco and other parts of the world have often endorsed it during various occasions. Even celebrities are seen sporting the Escada label during many of their public appearances. 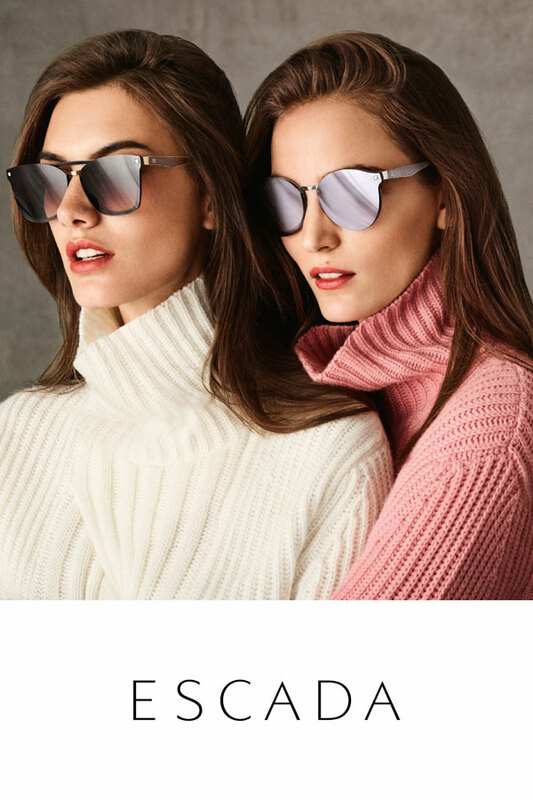 In fact, the popularity of the brand continues to grow stronger as the brand makes its presence felt across the fashion segment in eyewear, apparel, perfumes and even footwear, among others. The unusual combinations of colors and patterns, exclusive embroidery, and elaborately designed knitted fashions have become the key differentiators for every design. In the last few years, the brand has witnessed its fair share of downfalls too but it is the dedication to be different that has led to Escada emerging as one of the few iconic fashion labels that continue to extend its collections and creative work. 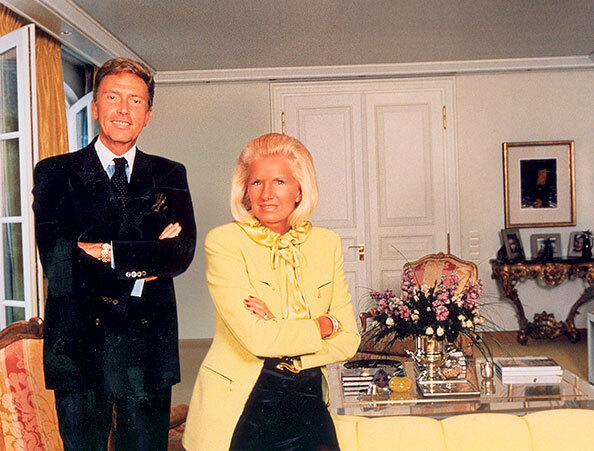 Margaretha and Wolfgang Ley, the two people who are credited with founding the brand Escada may have accidentally bumped into the idea during a horse racing event. Yes! The name Escada was actually the name of the Irish horse that they had bet on. This horse emerged as a stellar performer of the game and so the name stayed with Leys for longer than the race lasted. In fact, the name of the horse and its potential to win the game may have been the reason why the Ley family chose to christen their fashion label with the name Escada. Margaretha Ley was a former Swedish model. 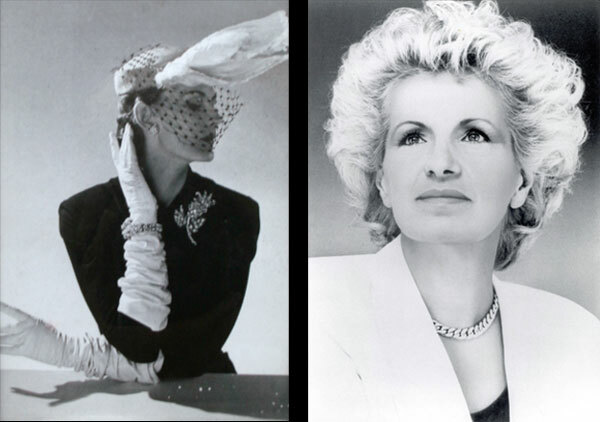 Her experience in modeling came in handy when she laid the foundation for Escada. She also had a solid education in tailoring and ample experience with demanding customers. Back in the 1980’s, fashion was moving towards the idea of being extrovert. Margaretha decided to take advantage of this trend and used her exquisite feel for colours and opulence for Escada creations. Her devotion to detail, and a sure sense for what many women desired – a feminine elegance that doesn’t shy away from bright contrasts and striking elements continue to define the elements of Escada creations even today. This brand redefined fashion for many. Its unique designs and use of colours spoke boldly about the need to break the traditional mold to come out with some really beautiful creations. Be it the use of bold colours or geometric patterns, thinking out of the box became the key differentiator for Escada creations and ever since there was no looking back. 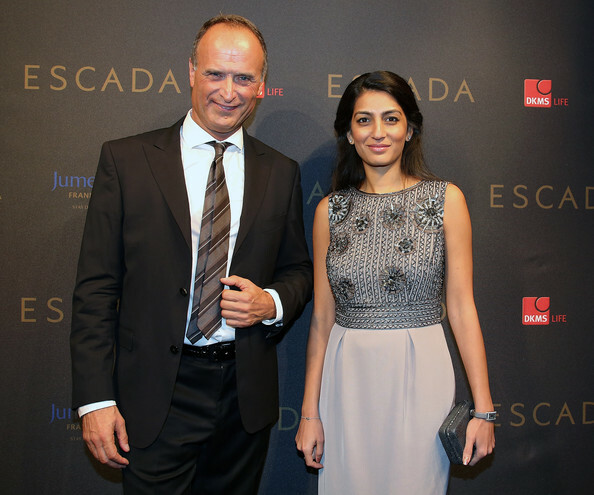 From its humble beginnings in Munich, Escada was quick to grow the franchise and expand its presence in the United States as well in 1982. The foray into the United States was just one of the many milestones that Escada had set out to achieve. In a short span of seven years, Escada pursued the internationalization of its brand at a really rapid pace finding subsidiaries in USA, Canada, Great Britain, Japan, France, Spain, Italy, and Asia. Now that Escada had established its name in the domain of apparels, it was time to move on. 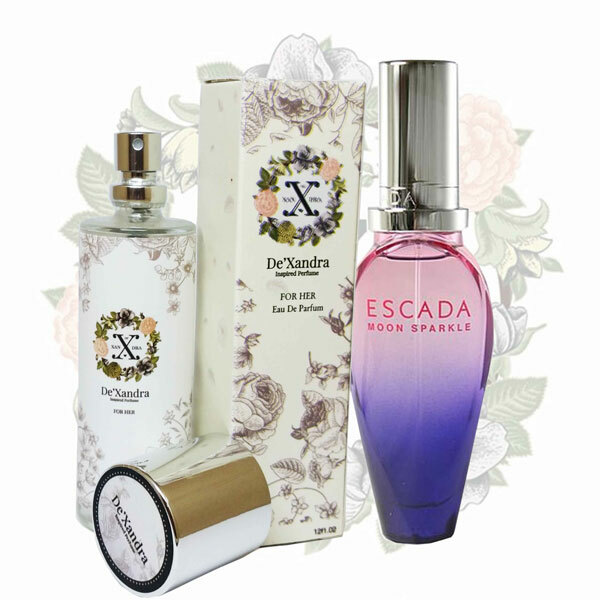 Come 1990 and Escada announced its foray into perfumery. The very first Escada fragrance came out in the same year. Given the high benchmarks that the brand had already set, expectations from the perfume were already high. True to its legacy, the brand did not disappoint its fans! The fragrance was named after its designer Margaretha Ley. The design of the bottle represented a unique and very feminine heart shape reflecting the feminine and sensual side of the fragrance. In creating perfumes, they pioneered the concept of seasonally limited edition fragrances and established what has become one of the most successful summer fragrance lines in the perfumery industry. Bali: Model Lena Gercke was seen sporting this stylish eyewear during one of her recent public appearances. The gradient effect of these sunglasses is inspired by the picturesque sunrise in Bali. 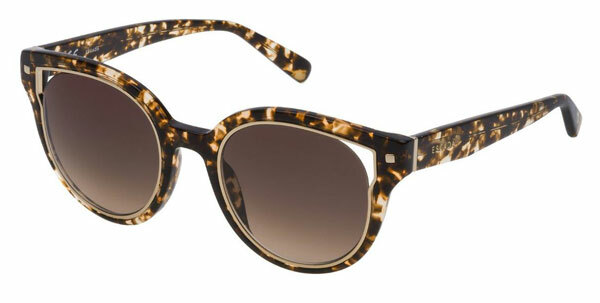 The model features an oversized sophisticated and fanciful acetate frame which reflects the true ethos of ESCADA woman. The design is available in five different colours suitable for every occasion: from elegant and classic black or tortoise shell to more glamorous and playful gradient versions in khaki/fuchsia, brown/peach, and grey/orange. SES404: The model is part of the 2016 spring/summer collection of eyewear by Escada. It flaunts classic, extravagant and fanciful shapes, both in simple and more sophisticated styles, in metal and acetate, in oversized and cat-eye shapes. SES404 is an oval oversized frame is the perfect embodiment of the chic 1950s, inspired by the great film star, Ava Gardner. Semi-transparent acetate gives these glasses a contemporary feel. Available in black, light brown and milky grey. Escada’s elegant ‘E’ logo is engraved on the temple tips. Another luxurious pick from Escada’s 2018 collection is SES489. Round frame designed to suit everyone’s face. Escada sunglasses have been embarking special effects in their designs just for women and looks like this one is just another model that makes a woman feel special. The brand has always been on top of the line when it comes to setting trends. The oversized and square sunglasses, SES941 from Escada are a total pick. Chic, sophisticated and classy: three things no one says ‘no’ to. In fact, the brand’s success story is heavily inspired by the idea of a phoenix rising from the ashes. There is a downward phase in the Escada journey that set in when its founder Margaretha Ley passed away. The brand did face a few glitches but was quick to adapt to the ever-evolving fashion circuit. Just like a phoenix rises from the ashes reclaiming its majestic glory, it was also quick to bounce back when it was taken over by business tycoon and fashion enthusiast Megha Mittal associated with Arcelor Mittal. Under her leadership, the brand has grown and continues to soar to new heights. In spite of having suffered a major setback during the recession, the brand has successfully managed to rise again- just like a phoenix rises from the ashes. The brand has interpreted its brand values in a new, updated way: cool glamour, sensual femininity, and modern elegance are now the hallmarks of the brand line. However, the essence of creating fashion apparels and accessories for dressing women appropriately for every occasion continues to remain intact. Today, it has expanded its ambit of offerings to include everything from must-have everyday items for business and leisure to the head-turners for those special red carpet occasions.